The No Jab, No Pay legislation passed on 23 November 2015. 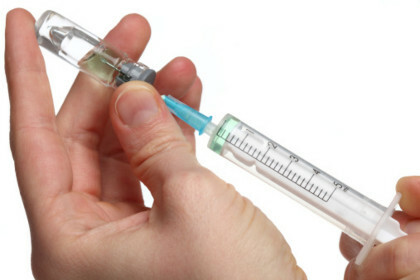 From 1 January 2016, only families, who fully immunise their children, are on a recognised vaccination catch-up schedule, or have an approved medical exemption can receive family assistance payments such as the Child Care Benefit, Child Care Rebate, and the Family Tax Benefit Part A Supplement. Vaccination objection will no longer be a valid exemption. Parents will maintain their right to choose whether or not to vaccinate their children. Parents will be notified by Centrelink in the coming weeks, if their child/children does not meet the immunisation requirements for family assistance payments. Parents will be advised to speak with their vaccination provider if their child requires catch-up vaccines. From 1 January 2016, free vaccines will be available for children aged 10-19 years who require catch-up under this policy. Vaccines for children less than 10 years of age are free under the National Immunisation Program. The Chief Medical Officer has written to health providers describing the catch-up vaccination arrangements, and providing links to five new fact sheets to support conversations with vaccine hesitant parents. The fact sheets cover topics such as autism, immunity, safety and ingredients. CLICK HERE to view or print the fact sheets. These resources and more are available on the Immunise Australia website.